As my birthday starts to draw closer and we are about to drastically change the way we live, I can’t help but get reflective about my age and my life. 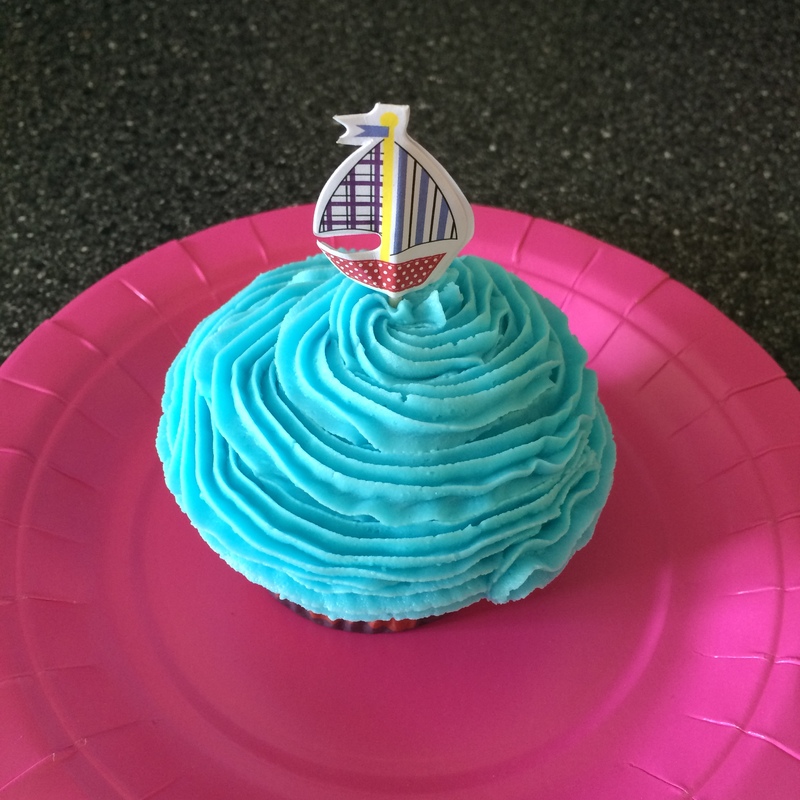 Okay… It wasn’t officially a birthday cupcake, but it was still a lot of fun! I remember the year I turned 29, when I had a lot of difficulty processing where I was. I felt that it was a year where I had to do something ‘big’, something dramatic before turning 30. More than once I had to stop and remind myself of all the things that I had already done which most people never experience. I’d moved to a completely foreign country, not once, but twice. I’d come home and at 27 started from scratch to create a life for myself, while most of my peers had been working at this for three or four years. I’d had to work hard to find the people I wanted to share my life with, and at 29 was finally starting to feel secure. By the time I reached 30, I hardly gave it a second thought. Sure, I spent some time thinking about where I wanted to go down the road, but didn’t feel the pressure to do anything drastic. I had developed some amazing friendships, the kind that last a lifetime regardless of distance. I had just moved into a new and exciting role at work, and knew that life was finally starting to settle. I didn’t think I needed change, and definitely wasn’t actively searching for an adventure. Now I’m less than a month away from 31, and am about to embark on a life-altering change. I look back at the lead up to this decision, and I see how much I’ve grown over the past year. I have realized that change doesn’t always happen when you think it should, and that’s what makes life exciting. I didn’t have a set ‘by the time I turn 31’ goal, and I wasn’t looking to uproot and sail away into the sunset. As soon as I stopped thinking about what I ‘should’ accomplish by a certain point, I was able to let experiencing life take centre stage. This entry was posted in Uncategorized and tagged birthday, celebration, life decision, reflection. Bookmark the permalink.